The S 606 has a 1-inch tweeter and two 5-inch midrange drivers that ensure strong, clear vocals and instrumentation, while the 8-inch side-mounted woofer delivers a deep, thunderous bass. The S 606 is fully equipped for optional bi-wiring and bi-amplification. Furthermore, the easily adjustable spikes ensure that the speakers always stand securely; making a good, stable mechanical contact with the floor. 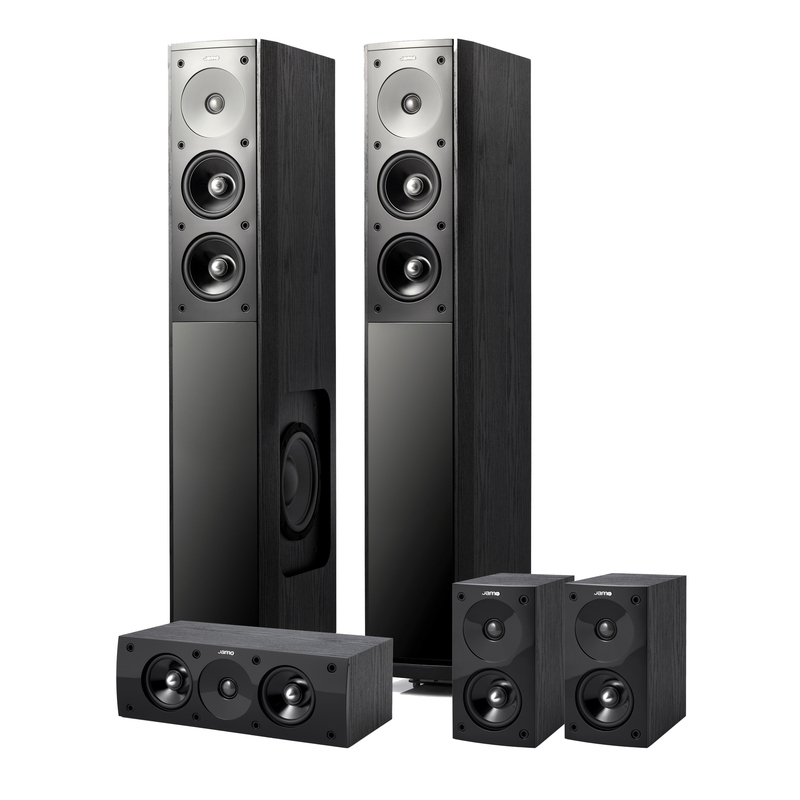 The center and satellite speakers come with supplied wall mounts, providing terrific versatility when it comes to placement options. 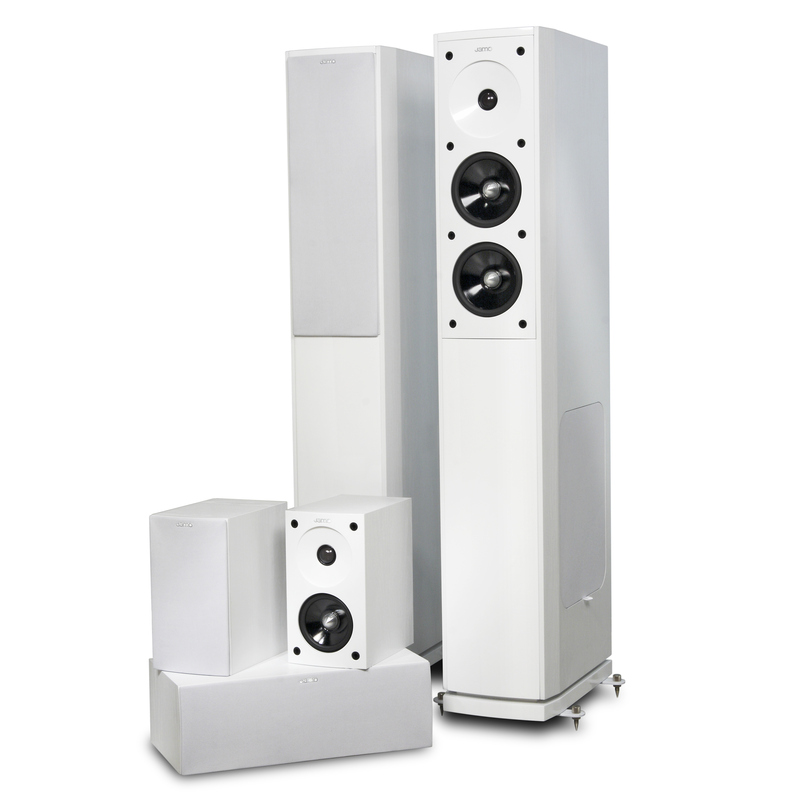 The SUB 250 is equipped with an 8-inch woofer unit housed in the unique slotted port cabinet. It also features a powerful BASH® amplifier capable of delivering 250W of peak power. Relative to its size and price, the SUB 250 delivers outstanding performance and is capable of producing bass frequencies down to 30 Hz. 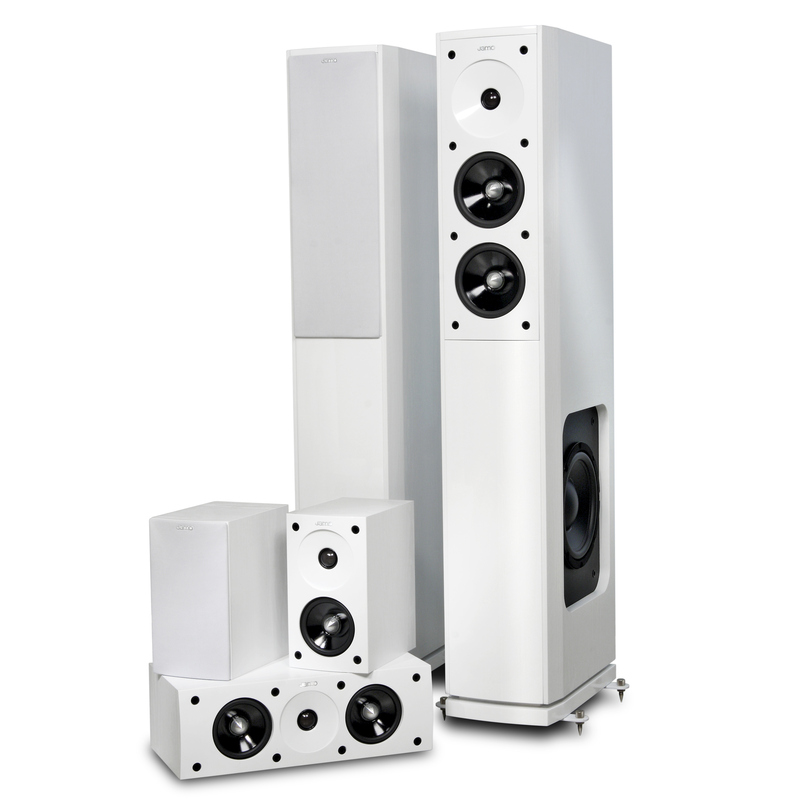 The SUB 250 has a very flat frequency response, which allows it to play bass notes in a very convincing way compared to many conventional bassreflex subwoofers. 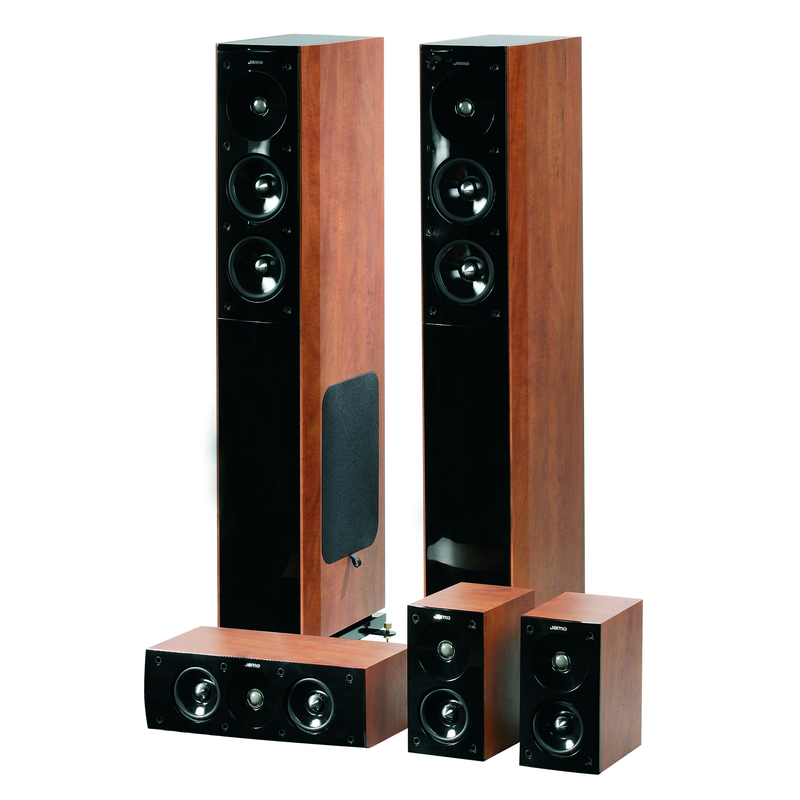 With more than 810 watts of music power, the Jamo S 606 HCS 3 system offers excellent value for the money without compromises in design or sound. 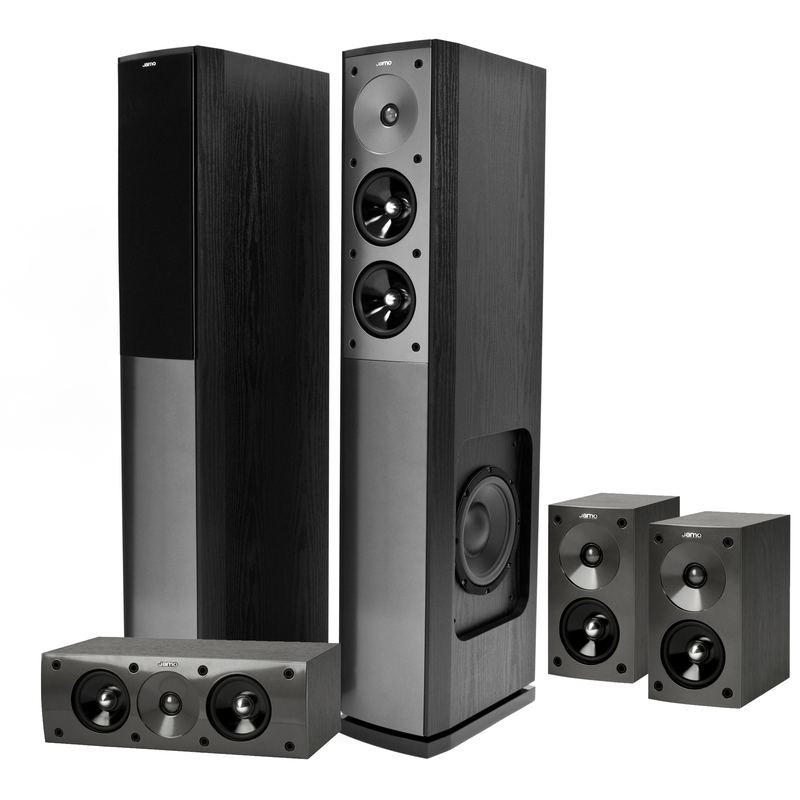 Give these speakers a listen and compare them to our competitors' products-we promise that You'll be surprised! 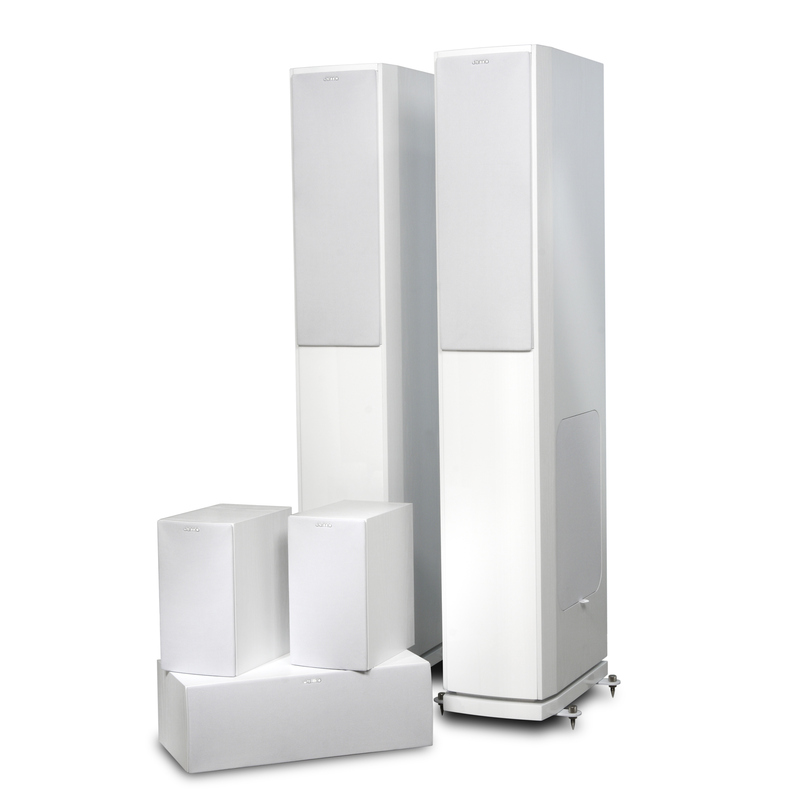 Combine the base system's S 606 Towers, S 602 satellites and S 60 CEN with a Jamo subwoofer like the SUB 250 and you have a very potent, stylish combination with 1060 watts power. 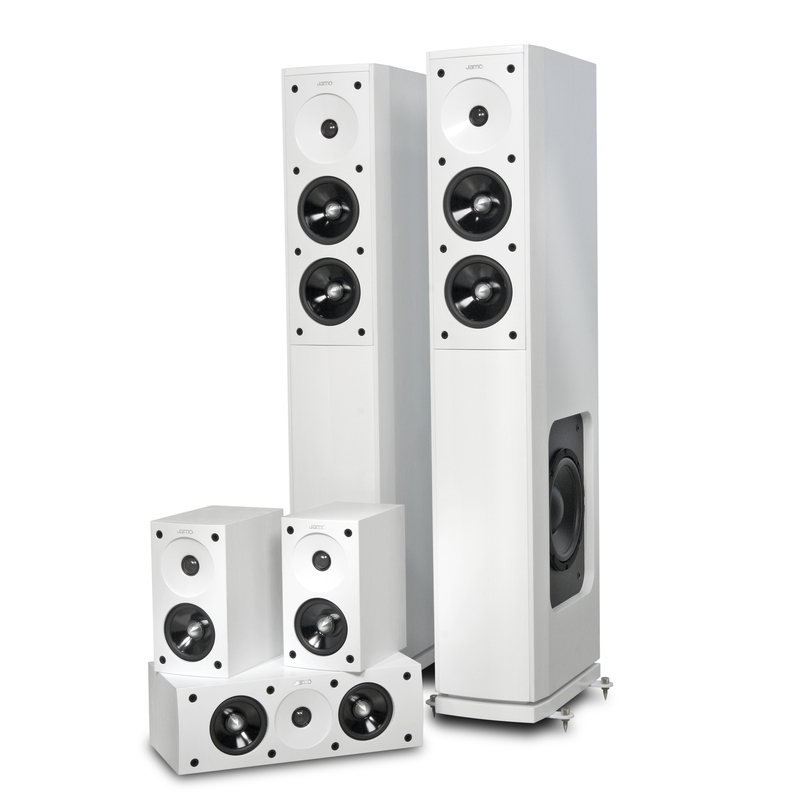 The center and satellite speakers come with supplied wall mounts, for versatility when it comes to placement options. All of the speakers come with removable front fabric grilles. You have the choice of having them on or off; it simply shows that we have nothing to hide with these beauties! 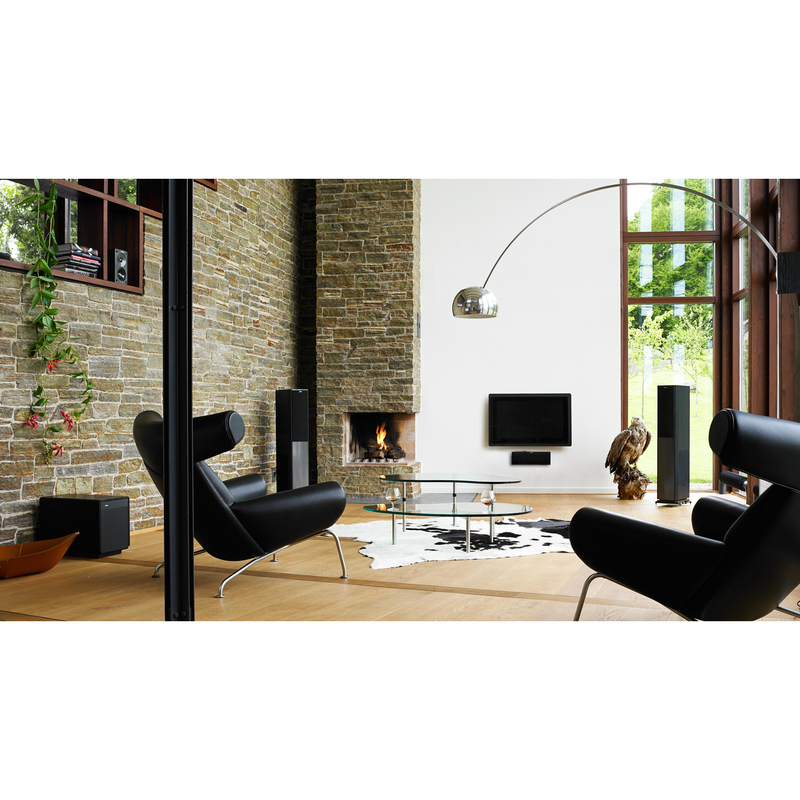 With their great high gloss black, dark apple, white ash or black ash finish and attractive design, the S 600 home theater components look great together-and look great in any room.